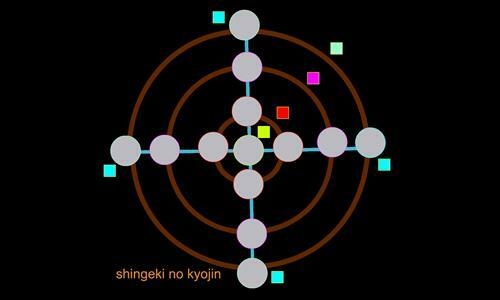 Base on Shingeki no Kyojin(Attack on Titan)'s world map. Include three walls: Maria, rose, and Sina. Review by Masror on 8/24/2013. Review by [NL] Blaplugger on 10/12/2013. Review by Samson on 2/20/2014. Review by [REGL] Firehawk on 10/23/2013. Review by Lord Jaxzan on 12/8/2013. The map is a fun one to play- if you are lucky enough to get a territory with bonuses. Otherwise the game will be over very quickly for you. This would be more fun if each territory got some reinforcements, and if they were equally balanced. Review by Lord Raimonds of Baltic on 10/4/2013. Review by DanWL on 10/6/2013. its good in Lottery games. Review by Thomas Bl on 10/18/2013. must be lucky on this one! Review by [ÀÏóĈ]Pyrocleptic on 10/18/2013. Review by Ryan on 12/2/2013. Review by Master Turtle on 12/3/2013. Review by nom on 12/2/2013. Definitely keeps you on your strategic toes. Review by VaporWolf [FROG] on 5/21/2014. Review by Yoda on 10/25/2013. Review by INSIDE on 10/11/2013. Review by Arigold on 8/28/2013. Outer ring bonuses are too high. Review by Twilighttrooper on 7/13/2014. Review by Deaconom on 7/13/2014. Review by eddy on 9/3/2013. Review by Techpriest on 8/24/2013. Horrible map, having little territories prevents a diversity in expansion. Review by Daniel J Miner on 9/17/2013.